It all comes down to this. 48 minutes away from being crowned Kings of the Bluegrass. You don’t get here unless you deal with adversity and handle your business. In Class 1A, two teams have done just that. 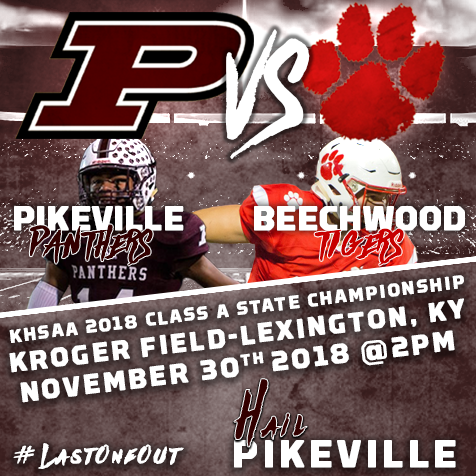 The Beechwood Tigers and the Pikeville Panthers are set to dance for the Kentucky Class 1A State Championship tomorrow at 2:00 at Kroger Field. Beechwood has had an incredible year, boasting an overall record of 11-2. The only two blemishes on the Tigers record are teams that are playing for state championships this weekend as well. Otherwise, Beechwood has dominated their opponents by scoring a combined 556 points on the season. The Tiger defense has been outstanding as well holding their opponents to just 172 points on the year. In the 13 games played, the Tigers defense has held their opposing offenses to 13 points or less in 9 of those contests. Beechwood will be making their 4th consecutive state finals appearance and are looking for their 3rd consecutive state title. The last time they lost a state championship was in 2015 to their opponent this Friday… The Pikeville Panthers. Pikeville has been equally as impressive with an overall record of 11-2. Their two loses came early in the season against 3A Powerhouse Belfry and West Virginia’s Point Pleasant. The Panthers have scored at least 33 points in all of their games except one. The Panther defense has kept pace destroying their opponents and only allowing 13 points or less in 7 games. 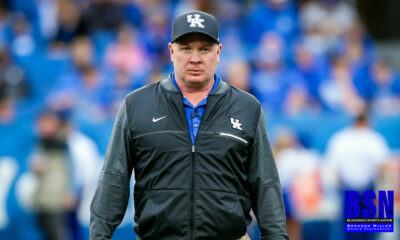 They have held their opponents under 20 points in 10 games and only allowed 199 points all season. 77 of those points came in their two loses. Since week five, Pikeville has only allowed 102 points while scoring 377. It’s been, “All Gas No Brakes” for the Panthers on their quest for the state finals. Beechwood’s offensive line has received high praise around the state for their play this season. They are big, fast, strong and have been physical all year. The Tigers have rushed for just over 900 yards in the post season alone. What is even more incredible is the fact that the Tigers did that in just 3 games. Proof is in the pudding and it’s obvious that this unit is the strength for the Tigers. Speaking of “All Gas No Brakes,” Pikeville’s Offensive line has been petal to the metal as well opening holes that a Mack Truck could run through. In the playoffs, Pikeville has rushed for 1,114 yards. This group of young men have certainly demonstrated what it is to play mountain football in the trenches. If Pikeville is to win the State Championship, this group will be a huge reason why. Two teams from opposite sides of the state, who have similar styles of play will kick-off this Friday at 2 pm. Beechwood has proven they own the state when it comes to 1A competition over the past few years. Pikeville will try and prove that while Beechwood may own the state, the Panthers own Beechwood. So, with two teams being evenly matched in the way they play and the talent they have, what decides who goes home with the hardware? The answer is simple… Heart. Who wants it more? Who is willing to sell out for that extra yard? Who is going to refuse to lose? When push comes to shove who is going to make the plays? Who is going to be, “All Gas No Brakes”? A group of mountain boys will be hitting the Mountain Parkway as they represent Eastern Kentucky in the Class 1A State Finals. An entire region will be pulling for the Panthers. Many people look at the Mountain Programs and immediately consider them the under dogs. None of that matters when the clock strikes 2:00 pm on Friday. The only thing that matters is the name across your chest, and the guy standing to the left and right of you. 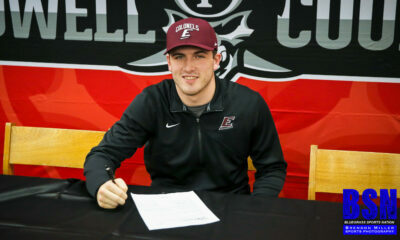 Play hard, Play fast, but above all Play for your Maroon Brothers! “All Gas No Brakes, and No Regrets!” HAIL PIKEVILLE!!! !